If your family is anything like ours, then there’s nothing like the sound of a free family holiday to get the excitement happening! Of course in reality, while no holiday is truly free, it helps to have free accommodation to lessen the burden and allow money to be spent on fun activities instead of high priced accommodation. Free camping exists in some wonderful places around Australia and is a wonderful option for an Australian family adventure, and one that is overlooked by many holiday makers. Free camps offer the perfect way opportunity for families to stretch their holiday budget further and allow them to stay longer, or experience tourist attractions they may not otherwise be able to afford. Sounds wonderful right? It really is, so if you’re keen to set off and grab a free campsite for your next family vacation then here’s some things to consider. Just like any other type of holiday, if you’re going to free camp you’ll need to pre-plan. The trick with free camping is knowing where the free camps are. In truth, there has been pressure in many high tourist areas to close free or budget camps, mostly driven by caravan parks who, like everyone else are feeling the pinch within their business. Not to worry though, there are still a whole lot of free camping options, but you’ll just need a little help to find the best of them. 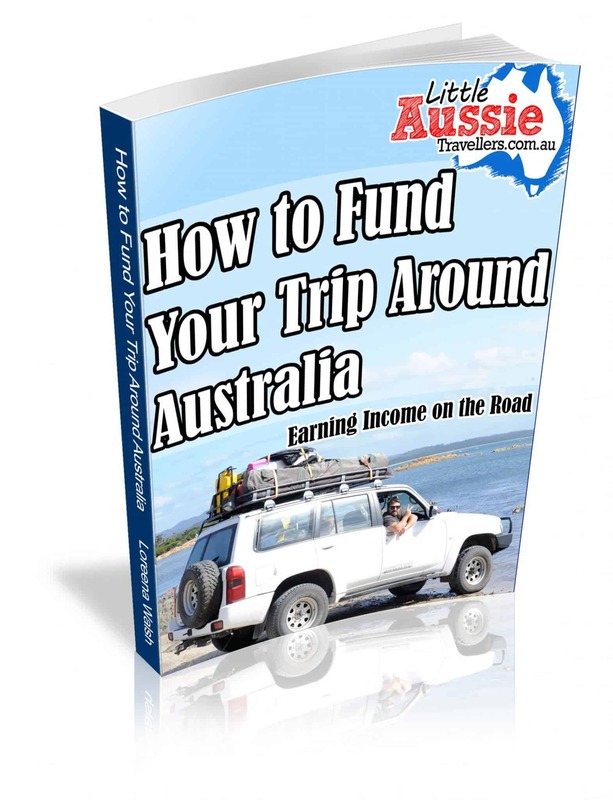 The most recommended book among travel circles is Camps Australia Wide. The current version in early 2012 is Camps 6 with a new version due out around March 2013 and every couple of years continually. The best option is to grab a copy of this book (it’s a great investment and they hold their resale value too) take a look at the region you’re thinking of travelling to and note all the available sites, or at least find a region that has free camping, as some regions are very limited. 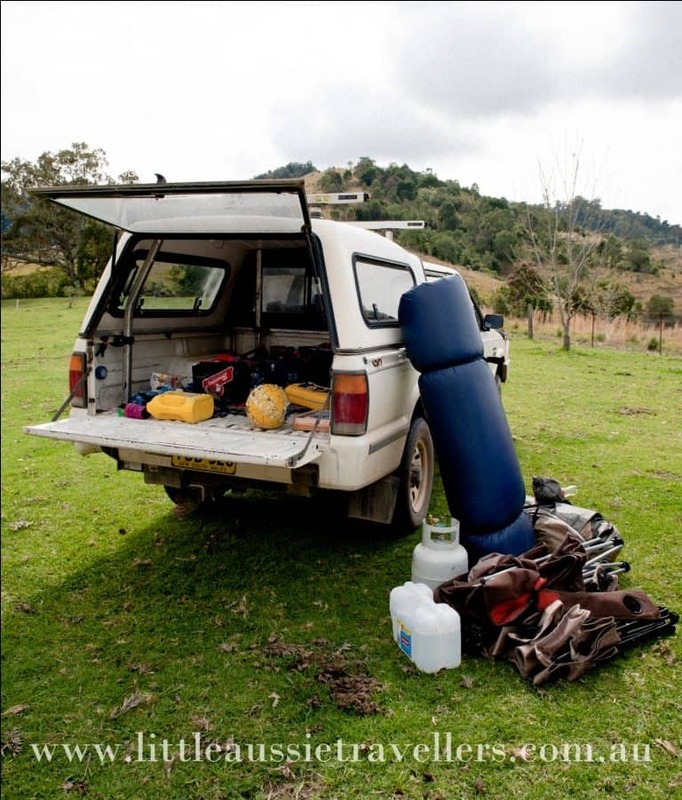 The best thing about having a book like this on hand is that you’ll know before you arrive, what facilities are available and if you feel it will be suitable for your camping style, ability and interests. What gear you’ll need to have a successful camping adventure is very dependent on the type of camping ground you’ll be staying at. It’s important to understand the facilities that exist and prepare accordingly. Just like our guide to buying a family tent, choosing the gear you’ll need for free camping depends highly on the type, location and facilities at the camp site. Yes, it’s true you can go free camping with just a tent and some basic supplies. In fact, we do just that on a regular basis, and have a great time, the key is understanding your own needs, expectations and making the most of the available facilities. It is important to have your own options for showers/baths if there aren’t any available on site. A porta-loo is also a necessary option if there’s no available toilets. For more avid campers this type of gear is often already on hand, for families with limited camp gear, choose a site with options such as showers and toilets. Sometimes you’ll have to pay a minimal charge for a hot shower, but it will be well worth it. Most people own a mobile phone and rely on it as their contact method with friends and family or emergency help when out travelling. It’s super important to know the coverage for your mobile phone service if you’re travelling to more remote free camping areas. Chances are that there may be little or no phone reception, so if you don’t have a CB radio, it pays to at least let someone know where you’re going. Often you won’t be camping alone and there’s generally other campers close by, but don’t rely on it. For the most part you won’t need phone contact if you’re out of service, but it’s just good measure to understand if this is the case. Fires and BBQ’s: If you’re staying in a National Park area you won’t be allowed to collect firewood and will need to bring your own. Similarly if there are fire bans in place then open fires are not allowed. Having a gas cooktop in these instances is always a bonus. Time Limits: Some camp sites only allow limited stays. Be sure to follow any rules in regards to this as you can face fines in some instances, but more importantly, the rules are there to be sure that all visitors to the area have availability to resources. Campers causing problems by ignoring limits and other rules sometimes are the cause of free sites being closed, so it pays to be respectful. Rubbish: There are no rubbish collection services at many free camp sites. This makes sense because rubbish services cost money, so if you’re not paying or you’re only paying minimal charges, and there are no bins then have respect and take your rubbish with you. Like other problems caused by disrespectful campers,, excess rubbish being left around campsites has forced closure of many sites around Australia. Free campsites are a privelege, and sadly misuse or abuse of available facitilies has caused many closures in recent years. Keep it simple, don’t abuse available services, be respectful of the surroundings and other campers, stay tidy and clean and leave your campsite as you found it. In all honesty, just get out there and have fun. If you’re not used to camping, then start out in a free camp or budget camp that offers great facilities and is close to a town with mobile phone reception, showers and toilets. Grab yourself a copy of Camps 6 and don’t be afraid to test your boundaries by discovering new, more remote places once in a while. Got Questions? Please ask us below. Got Tips? Please add them to the comments below, we’d love to hear from you! Thanks for the tips! One of our family’s dreams is to get to Australia, buy some sort of camper van and camp for a year touring the country. We camp in free forestry spots in Canada all the time so its good to know that option is available in Australia too! Great tips I thinks you nailed it with everything. We used the Camps book for free camps across WA . It was very handy. My tip is to use the GPS coordinates because some place are hard to find . Always arrive in daylight because access can be difficult with a caravan on. Be aware of the fact you cannot collect firewood in many areas that are national parks , even by the roadside outside of the actual park entrances , ie even before you go in . Some provide limited timber offcuts / large chunks wood …carry your own axe. It was difficult to find wifi /phone reception in some areas even where the camps book indicated but going for walk I found it in unlikely places like on the steps to the beach and on hills. Some locations also turn off phone towers at night ….well according to the owner of a budget park we stayed in they did in SA. Please pay fees in honesty boxes or cheap campgrounds will close. Ring ahead because some places are busy and if you travel 40-50 km to get there and there are no spaces (like Esperance ) it is a pain to turn around and go back to town. Some free camps are nothing more than a strip of bare dirt behind a few trees , maybe with a table or right by the road . Very disappointing if you expect more facilities . Some have the best locations on the coast and some get very busy with grey nomads who arrive very early like 10am before families with kids have even left for the day or had morning tea. There were many nights when we were the only caravan there and I found it a bit daunting, others times we drove on till we saw others camped. Thanks so much for the tips Trish! So right about being sure to pay money to the honesty box, it’s the only thing that keeps these places going. On Kangaroo Island we camped for $5 a night for the whole family and including gas BBQ’s & hot showers! Budget camping at it’s best! Oh, tell me more about Kangaroo Island! This is the one place I do know we want to go on our upcoming trip to your country. Do you think it will be hard to find places to camp during the summer holiday? I’m reading your website cover to cover 🙂 Thanks for creating it. Most helpful! Thank you SO much for dropping by. Kangaroo Island truly is amazing. For the council campgrounds on KI that have facilities it might be a bit of a scurry to get to available campsites, I am sure it will possibly be quite competitive during peak seasons, but, there are also privately run campsites that would allow you to book ahead, so I’m sure you’ll always find somewhere easily enough. Camp sites are plentiful across Australia. Closer to some of the capital cities it can be harder to find a reasonably priced campsite, but who wants to camp too close to a city anyway! 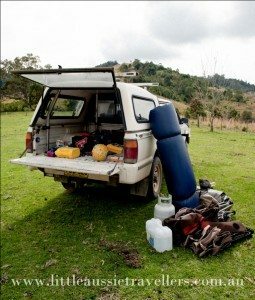 Camps 6 is a highly recommended book, or there’s also a website called http://ozcamps.net/ which offers a huge range of campsites that will help you plan your trip ahead. If you have any questions please be sure to drop us a line. One day we may even venture overseas and I’m sure if we do we’ll take you up on your offer and visit Alaska which I’m imagining is so much different to here! We havent tried free camping as yet – but so would love to look into as soon as our Motorhome is set up for no power. There are some really good caravan places around, but its a matter of finding one that charges per family and not per person! 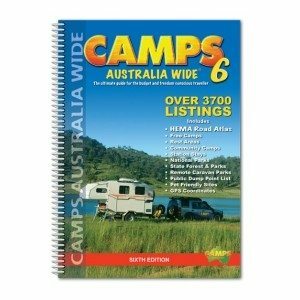 We have the Camp 6 book and love using it when we move to a new area. As soon as we can we want to park the bus somewhere, and go off camping with tents for a couple of weeks – that way the real adventure will begin! There is some magical places in Australia – its a matter of looking for them! Have Just done 18000 klms around Australia. Can’t believe the roadside rubbish and disgusting condition of over night camp areas. I don’t think grey nomads are doing it. They all seem pretty well set up and self contained for rubbish and toilet. What is the solution.? We refused to set up our camper in them. Never could get away from toilet paper and more. It’s sad isn’t it Diane 🙁 I think some areas are prone to it simply because of either lack of facilities, or even having local youth etc who don’t respect the areas. Sometimes, campers don’t realise there isn’t garbage collection etc in some areas and leave rubbish innocently, but I guess that probably doesn’t account for most of it. I would love to hope that people would respect the areas that are provided for all to enjoy, but unfortunately it just seems that human nature is sometimes to be messy and destroy things instead of respect and protect things. I’m not sure what the solution is, I know when we come across some things we clean them up, but sometimes that’s just not feasible. Great bit of info. I love that you are teaching your kids by your life even things like cleaning up after others. The “leave no trace” motto is great but it is even better to leave it better than when you arrived. I love free camping – not only it stretches the finances a lot further, but the friendliness at free camps are generally fantastic. We will pay for caravan parks if and when neccessary but the choice should always be available. Oh Emma, thanks so much for dropping by our site! How exciting for you all to get the chance to explore here! I can promise you won’t be disappointed, and I don’t think the creepy crawlies are as scary as they probably sound 🙂 On the scale of things, we do hear that Australia is expensive in comparison to other places, so yes, that may be a bit limiting, but there are plenty of ways around it , and free camping is great! There are always lots of second hand motorhomes for sale, you can try places like Ebay or Gumtree.com.au, or companies like Britz.com.au hire them, although that can get quite expensive. As for sleeping in tents, we did our entire outback stretch in a dome tent for 3 weeks and it was plenty of fun and it definitely reduces the cost. Lots of caravan parks have cabin accommodation relatively cheap to stay one night a week or so if you’re wanting a shower and proper bed, and alternating between camping and accommodation allows you to experience a range of things while reducing the costs somewhat. You will also find that in most places, there will be lots of other people in tents too, so you won’t be the only ones, and will have plenty of friendly company around. Great site! Has anyone ever have any security issues whilst free camping? Hi Cat, thanks so much for stopping by. The best advice we have is that if you reach a spot where there aren’t any other campers, it pays to ask locals about the safety, such as stopping in at nearby service stations, or information centres. There’s safety in numbers, so where there’s other campers is safer than camping solo in many places. Also, take any valuables with you, or keep them locked away in your vehicle if you’re particularly worried.